Jack Nicklaus recently visited The Club at Las Campanas, the home to 36 holes of Jack Nicklaus Signature Golf in Santa Fe, New Mexico. 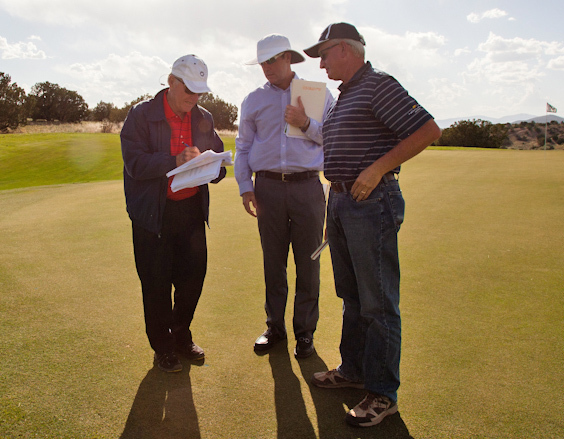 The Club at Las Campanas opened its Sunrise course in 1993—marking the Golden Bear’s 100th design—and the Sunset course in 2000, and Jack was visiting to see how the courses have matured and to offer suggestions to the club on a long-range plan. For more information on The Club, visit www.theclubatlascampanas.com.